Which King Will the Golden Knights Select? The NHL Expansion Draft is less than a month away, and new Los Angeles Kings GM Rob Blake and President Luc Robitaille have to decide who they will protect, and who they will expose to the Vegas Golden Knights. The Kings can choose to protect seven forwards and three defencemen, or they can protect extra defencemen and go with the four and four format. Jonathan Quick will undoubtedly be the goaltender the Kings protect, as he is one of the league’s best. 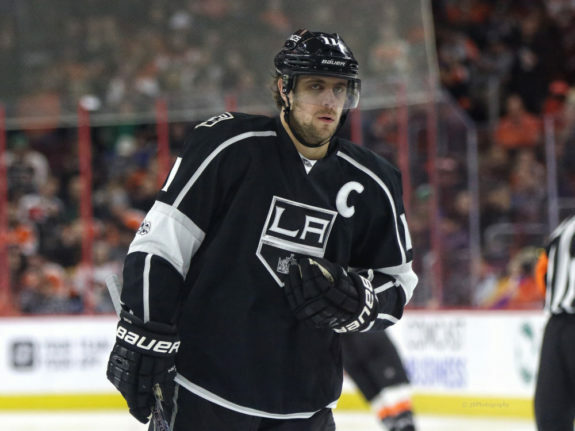 Captain Anze Kopitar is the only player on the Kings with a full no-movement clause, so he will be protected automatically. It’s nearly a given that forwards Jeff Carter, Tanner Pearson and Tyler Toffoli will be protected. This group makes up the Kings’ core group of forwards. On Defence, the Kings will surely protect their Norris Trophy winning defenceman Drew Doughty. They will presumably protect Jake Muzzin and Alec Martinez as well, with both currently on long-term deals. The decision beyond those seven players along with Quick gets interesting. Blake and Robitaille will need to decide if they would like to keep three more forwards or one more defenceman. If they opt to keep three more forwards, Nick Shore, Nic Dowd and Kyle Clifford would be the likely options. Derek Forbort would be the most likely option if they go with the eight-man format. Brayden McNabb could also garner some consideration on the blue line. 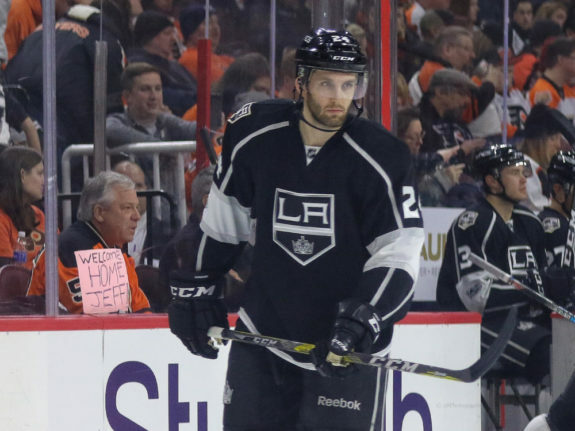 Which Kings could be left unprotected and available for Vegas? Who better to become the first captain of the Vegas Golden Knights than a two-time Stanley Cup champion? Brown may not be the offensive player that he once was, but he can bring veteran leadership to what is expected to be a young Vegas team. He comes with a $5.8 million cap hit, but Vegas will have the space to take on such a contract. Brown being selected by the Golden Knights would be a dream for most Kings fans, as his cap hit has become a burden for the team over recent years. At 32-years old, Brown’s best offensive days are likely behind him, but he can bring his experience and grit to Vegas. Marian Gaborik could be an attractive option for the Golden Knights, as his name alone could help to fill the seats in their first season. He comes with a long injury history which may deter Vegas’ interest, but he can still contribute. Like Brown, Gaborik comes with a hefty contract with four years remaining and a $4.8 million cap hit. He will also be 39 years old when it expires. He can bring experience to Vegas if selected but is a high-risk player at this stage of his career. If the Kings decide to go with four defencemen, Nick Shore would be an interesting option for the Golden Knights. He is set to become a restricted free agent on July 1, but he is only 24-years-old and would be inexpensive to re-sign. Shore would provide the Golden Knights with a solid third-line center as well as an above-average penalty killer. He scored just 34 points in 172 NHL games but could benefit from an increased role in Vegas. His penalty killing ability and career 51% faceoff percentage would offer Vegas good value if left unprotected. Brayden McNabb would be an intriguing option for the Golden Knights on the blue line, as he could potentially earn a top-four spot with the team. His availability would offer Vegas a quality defender with a relatively cheap cap hit at $1.7 million next season. McNabb averaged 15:04 of ice time last season with the Kings, but saw an increase in playing time towards the end of the season. He doesn’t offer much offensively, but the 26-year-old is a solid stay at home defenceman with plus possession numbers. If the Kings opt to protect seven forwards, Forbort would likely be the top option available for the Golden Knights. The 25-year-old is coming off his first full season with the Kings, where he impressed with 18 points in 82 games while averaging 20:07 of ice time. Forbort has one year remaining on his contract at $650,000 before becoming a restricted free agent next July. He would be a perfect two-way defenceman for Vegas at a low-cost and the ability to retain him long-term. The Kings have the ability to protect their core without losing a significant player in the expansion draft. If the Kings choose to protect Forbort, it would increase the likelihood of Vegas selecting Gaborik or Brown, which could be positive for the team going forward. The Golden Knights will unveil their selections on June 21 at the NHL Awards Ceremony.